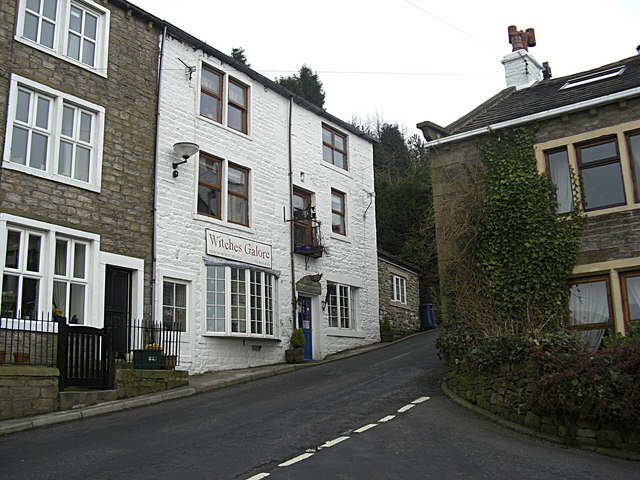 One of the most popular gift shops in the world is Witches Galore, an enchanting magic store nestled close to Pendle Hill at Newchurch-in-Pendle. Tourists paying a visit are greeted by a coven of life-size hags, who instantly weave their charms to lure the customers within! Open seven days a week from 11am – 5 pm, Witches Galore offers an eclectic mix of information, games, and souvenirs. There are mugs, ceramic wall plaques, tea-towels, fridge magnets, and jewelry related to the Pendle Witches, alongside a variety of books based specifically on Lancashire history, and a miscellaneous collection of magic items such as tarot packs, chalices, scrying bowls, skulls, and so forth. 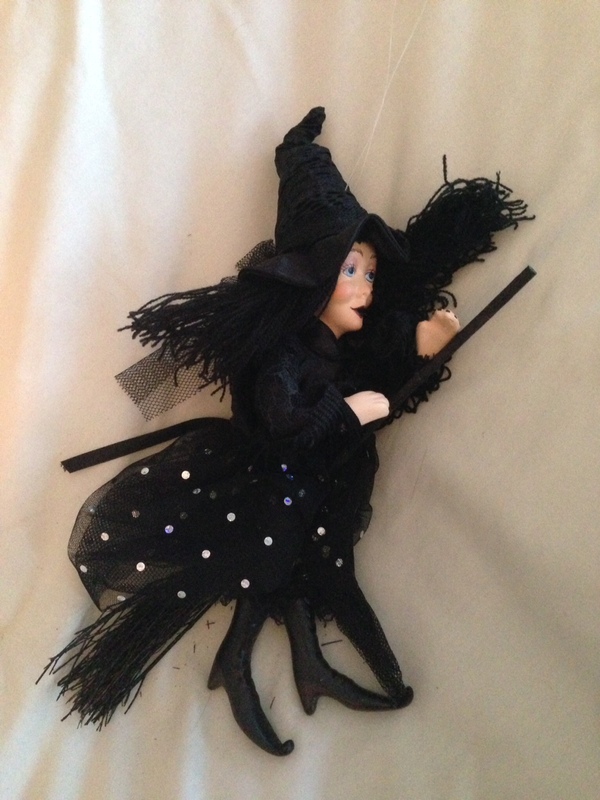 But unique to this store is their expansive collection of beautifully-crafted witch models. 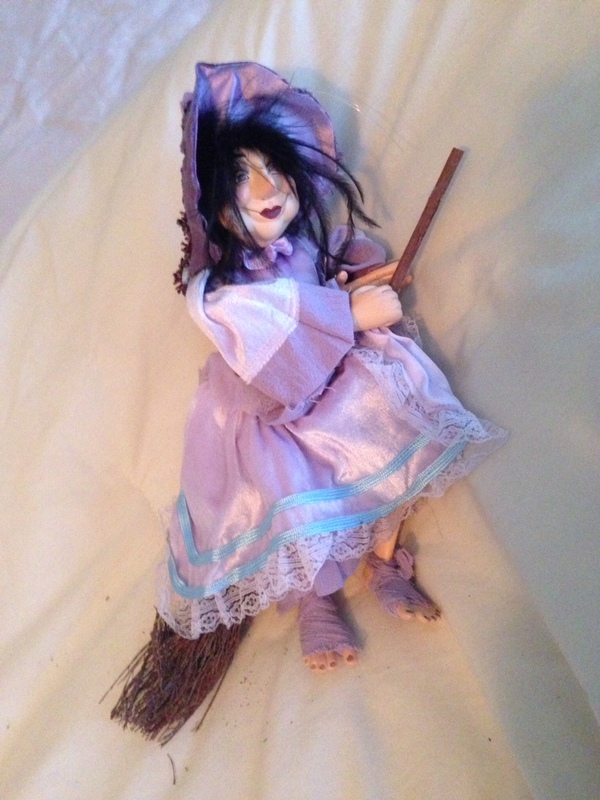 This one I ordered on-line (see below) is named after one of the Pendle Witches: Jennet Device. The individual details are amazing. I have never seen cloth-and porcelain figures of this quality anywhere else. For a closer look inside Witches Galore check out this cute AffieFilms video with Cassie and Pippa (The Monkey Dogs). There is also some great location footage at the start and end of their short YouTube adventure. Enjoy!